Looking for a travel itinerary to Isabela province? 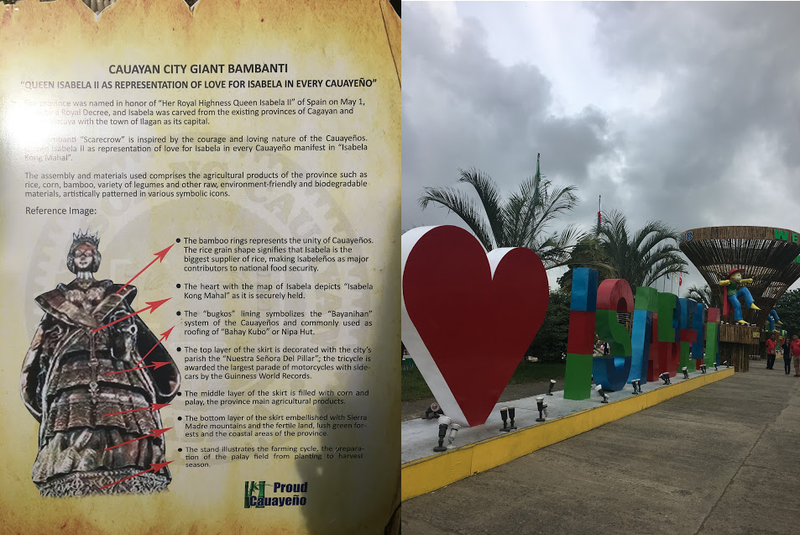 Dubbed as the Queen Province of the North, Isabela's charm really made my 5-day visit during the Bambanti Festival very memorable. If I'd go back here anytime there's a chance! For those who are planning to go there, I made this post that tackles Isabela's tourist destinations to give you so much reasons to spend more time as possible here. Whether you're looking for a DIY trip to Isabela or a tour package to Isabela, this article can give you some bits of information about what to expect when you arrive here. Isabela is the Philippines' biggest province in terms of land area occupying more than 1 million hectares of land. It is made of 34 municipalities and 3 cities located in northeastern part of Luzon: to the north is Cagayan; east by the Pacific ocean; south by the provinces of Aurora, Quirino & Nueva Vizcaya and west by the provinces of Ifugao, Mount Province and Kalinga. Founded in 1856 through a Royal Decree and named after Queen Isabela II of Spain, Isabela province of the Philippines is known for its agriculture industry especially tobacco and corn. Spanish conquistadores ruled for so many centuries in this part of the Philippines until Americans came. The locals of Isabela are mostly Catholics but there are also coming from cultural groups as the dominant Ilocano, the Ibanag, Tagalog, Itawes, Yogad, and the highland’s Dumagat or Agta that call this province their home. Before 1839, the entire Cagayan Valley was one large province which the Spanish insular government designated as La Provincia del Valle de Cagayan. To facilitate the conversion of the natives to Catholic Christianity by Spanish missionaries, two provinces were created in the vast territory, namely Cagayan and Nueva Vizcaya. A new wave of migration started in the late 19th century, with large numbers of Ilocanos from northwestern Luzon settling in Isabela. They were followed by other ethnolinguistic groups transforming the province into the "Melting Pot of the North". Fast forward to today, Isabela has one of the highest literacy rates in the world at 96%. Isabela's attractive suburban lifestyle has steadily been attractiging retirees of foreign descent, as well as Bicolanos, Visayans, and Filipinos from other regions, contributing to the fluency of Isabelinos in other languages and local dialects. 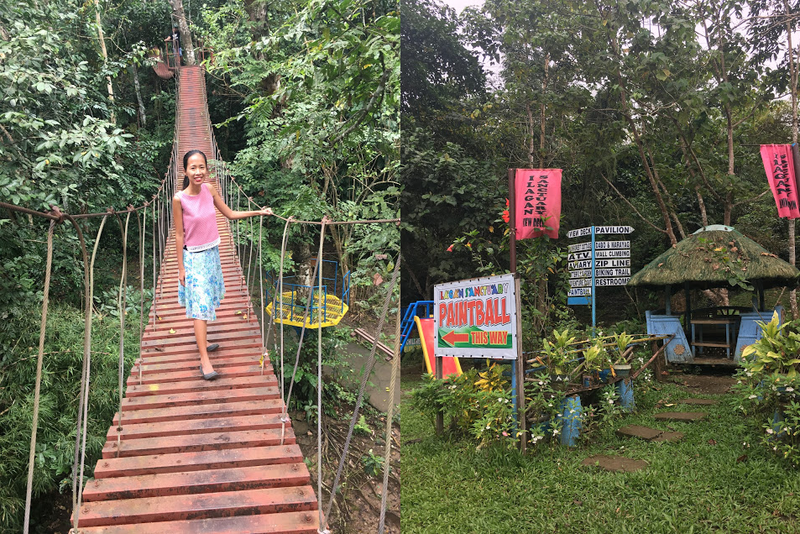 Ilagan Sanctuary is a big theme park that features many attractions. It is a one-stop shop for all types of travelers. There's a zoo, a pilgrimage site (a large cross and giant rosary), beautiful gardens and a lot more. Some of the activities you can do are treetop adventure, cable car, bike zip, see tigers and hold a humongous snake that's several feet long! My most favorite is visiting a few caves! These are the easiest caves (in terms of its geographical location) I have ever visited in the Philippines that I don't have to crawl, swim or walk for hours. Entrance fee to Ilagan Sanctuary is Php 100. 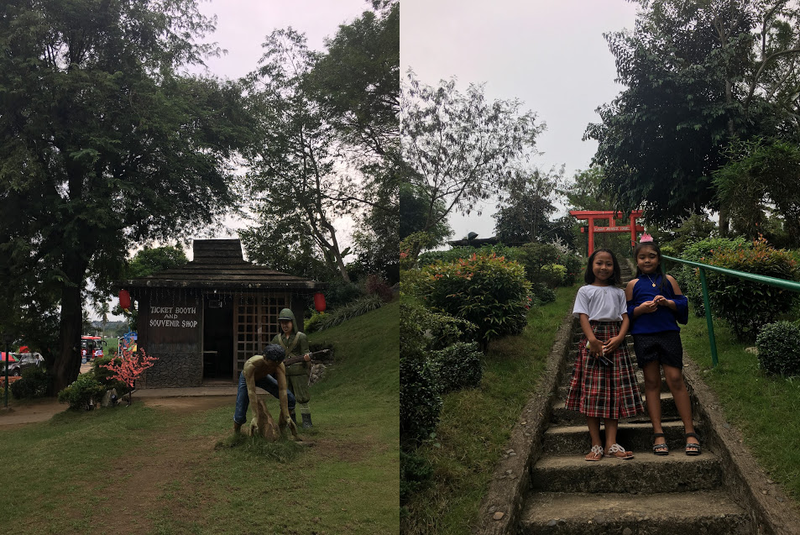 Ilagan Japanese Tunnel Museum is a newly-opened tourist attraction in Isabela that promotes the cultural past of this province. This place used to be an abandoned building but as years pass by because of some local children and old folks who told about this hideout of Japanese soldiers, they kept digging until they found a very long tunnel. Today, this place is now converted to a museum that showcases some historical items found while digging this tunnel. Guests can have a photo op wearing colorful Japanese dresses for Php 50 and eat at the resident food court serving great-tasting Japanese dishes at a very affordable price. Queen Isabela Park is the local version of Rizal Park here in the province. In honor of "Her Royal Highness Queen Isabela II" of Spain via a Royal Decree, this province adopted her name the moment it gained independence from Cagayan and Nueva Vizcaya. Queen Isabela Park is inside the Isabela Skypark where you'll see more interesting sights in Isabela such as the Isabela Lagoon (you can do boating/kayaking), Isabela Sports Complex (a huge stadium-like sports complex where big events are held here) and the Provincial Capitol of Isabela. Please scroll down for more tourist spots in Isabela you should see and mine too when I come back. Northern Sierra Madre Natural Park: The largest protected area in the Philippines. It is rated number 1 in the world for biodiversity and home to 60% of Philippine endemic flora and fauna species. It is also home of the indigenous Agta people who are the Sierra Madre's original habitants. Crocodile Farm in San Mariano: The first in the whole region 2. Saint Paul Church in San Pablo, Isabela: Isabela's oldest church as confirmed by the Vatican City. and its bell tower is the tallest in region 2. Honeymoon Island in Divilacan, Isabela: Ever seen an island that is shaped like a heart? This undiscovered picture-perfect beach paradise is so remote - it's not even in the backpacker radar of the majority of Filipino travelers. Bonsai Forest at Sumanget, Dinapigue: Composed of20,000 hectares of land which can be accessible by bus or car transport from Baler in Aurora Province. It can be seen on a plane ride to Palanan. Camp Samal Hotel, Resort, Training Center & Leisure Park in Tumauini operates Camp Samal: Aside from staying there for a night, they have lagoon boating area, swimming pools and slides, grill house and restaurant and other facilities for vacationing families. Bambanti Festival: Celebrated every year, it is the mother of all festivals in Isabela to give thanks to the bountiful harvest in the agriculture industry. Feast of Our Lady of the Visitation in Guibang, Gamu Isabela: A religious celebration done every July. More local festivals in Isabela: Pinilisa (red rice) in Jones, Isabela; Binallay (rice cake) and Mammangi (corn farmer) festival in Ilagan, Bangkarerar (boat race) festival in Delfin Albano, Bacao (yellow corn in Yogad dialect) Festival in Echague, Sabutan (grass) festival in Palanan, Balatong (monggo) Festival in San Mateo, Baka (cow) Festival in San Pablo, Gawa-Gawayan(welcome) Festival in Cauayan City, Pattaraday (unity) Festival in Santiago. Nuang (carabao) Festival in San Agustin, Gakit (raft) Festival in Angadan and Kangkanin (Food) Festival in Cabatuan. If you're looking for a hotel in Isabela, Japi Hotel is the one I can recommend. 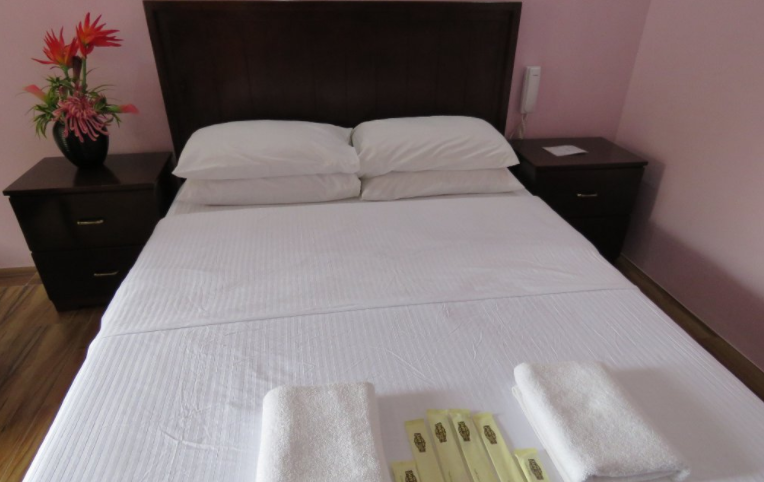 It is a boutique hotel for business travelers. What I like about it is that it has its own coffee shop and a mini-grocery store where you can buy stuff. Like in my case, I have a menstrual period that time. Since Japi Hotel in Isabela is located about 45 minutes to the city center, I don't need to go out anymore PLUS they offer a buffet breakfast. You can eat your meal with a view of rice fields and mountains of Isabela! Isabela has 35 municipalities (Alicia, Angadanan, Aurora, Benito Soliven, Burgos, Cabagan, Cabatuan, Cordon, Delfin Albano, Dinapigue, Divilacan, Echague, Gamu, Ilagan, Jones, Luna, Maconacon, Mallig, Naguilian, Palanan, Quezon, Quirino, Ramon, Reina Mercedes, Roas, San Agustin, San Guillermo, San Isidro, San Manuel, San Mariano, San Mateo, San Pablo, Santa Maria, Santo Tomas and Tumauini) and 2 cities (Cauayan City and Santiago City).